If you’re living and writing in Ontario, then you might have noticed the first drips of what will eventually be a flurry of Facebook statuses agonizing over grant applications. As a doctoral student, a writer and an editor for a mid-sized press, grants have become my friends. My best friends. The kind of friends that give me money from time to time with only a little bit (or a lot) of wheedling and tears. If you are a writer, then it is probably time you got acquainted with grant applications. Luckily, because some time has opened up in my busy schedule and I’ve just spent the morning agonizing over them, I’m going to help you. Grant writing is, almost by its very nature, inimitable to the average writer. It is bureaucratic, detail-oriented, and highly specific. 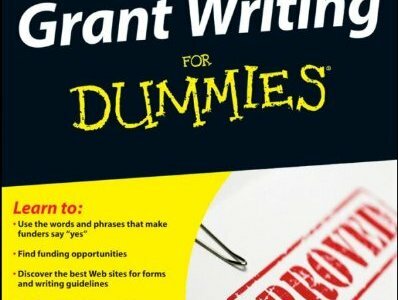 The first thing you need to recognize is that grant writing has its own language: it is not the same language you use when writing a blog post or a poem or a novel chapter or a blurb, though at times you might be able to draw on this information. The purpose of a creative writing grant, typically, is to convince an organization (a foundation, a government-funded arts association, a publisher, a donor) to give you money, on spec, for the creation of a new work or to finish a work in progress. Grants are typically administered by organizations such as the Canada Council for the Arts, but juried by members of the public: fellow writers, editors, publishers, critics and the like. Your audience will be mixed. If you’re lucky, you might end up with someone writing in your genre or following similar influences. But you might not, so be prepared to be read by a range of people, some of whom might share your background and some of whom won’t. Traditionally, genre writing has been a hard sell for granting bodies in Canada. There are many reasons for that: Canada has few independent genre publishers to draw from for juries, etc. ; genre writing is still considered “commercial” as opposed to “literary”; and because genre communities often do not intersect with literary communities. That is, there is a little movement of people between groups. This is not always important, but it can be. If you are trying to justify a genre novel or collection or stories, the people you typically have to justify them to will be arts critics, editors, publishers, and writers. If, as I content, literary and genre writing each have an independent history and set of influences, then it may be harder for a lateral audience to understand how your work is innovative on its own terms. That being said, that trend is changing in Canada. 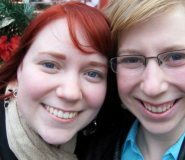 This year, ChiZine Publications was added to the list of publishers from whom you can seek funds for an OAC Writers Reserve grant: although they are the only publisher of solely genre material, they join ECW Press and Tightrope Books, both of whom active publish genre books in addition to literary fare. Looking beyond that, if you consult the list of recipients for Canada Council grants and OAC Work-in-progress grants you’ll see a number of genre authors. Lastly, even the major Canadian awards are beginning to allow more room for genre writing: witness Sisters Brothers, a literary western by Patrick deWitt, on just about every eligible list, and even Tony Burgess’ strange, surreal YA novel Idaho Winter showed up on the Trillium Book Award. There is lots of room here for a broad discussion of “genre” vs. “literary” but as this is a practical guide, I’m more interested in giving some tips on how to get by in a “literary” world than dismantling said world. Clearly, there is room for genre writing, but when it comes to grants, you still have to remember who the primary audience is and slant accordingly. Let’s start by looking at what’s out there in Ontario. The Grants for Professional Writers program covers subsistence, project and travel expenses. The Creative Writing Grants component gives Canadian authors (emerging, mid-career and established) time to write new literary works, including novels, short stories, poetry, children’s and young adults’ literature, graphic novels, exploratory writing and literary non-fiction. Grants are between $3,000-25,000. This program is open to published Ontario-based professional writers working on projects in fiction, poetry, literary criticism, commentary on the arts, graphic novels, history, biography, political or social issues, science or travel. These categories also apply to writing for children, multimedia, CD-ROM or edited electronic media (other than radio or film documentary or drama). at least three separately published essays, short stories, poems or other work for which you have received payment. As part of this program, you apply individually to publishers, each of whom nominate you for small blocks of money ($1,500-5,000) which they receive from the OAC. Deadline: This program runs from September 4, 2012 to January 31, 2013. It is better to apply early. Purpose: To assist professional writers to complete book-length works of literary merit. Eligibility: Ontario-based professional writers may apply for support for the continuation of new work in poetry or prose, including graphic novels. These vary from city to city, but I will include information on the Toronto Arts Council below as a sample. The Writers Program supports the creation of new literary works or works-in-progress in the genres of fiction(including novels, short stories, children’s literature, graphic novels where the applicant is both the writer and the illustrator, etc. ), literary non-fiction, poetry and oral traditions such as storytelling, dub, rap and spoken-word. LEVEL ONE: $2,000 – for writers in the early stages of their career. Applicants must have a minimum of one professionally published work (e.g. article, poem, book, etc.) Artists working with oral traditions must have a history of public performance. 1. Give yourself plenty of time. A good grant application can take several drafts of crafting, particularly if you are applying for the first time. 2. Remember your audience. Don’t lie on the application–if you’re writing a fantasy novel then it doesn’t do to say that you’re writing a literary novel. There are ways in which some people reframe fantasy into other genres–allegory, magic realism, slipstream–all of which are suitably vague and intellectual sounding so you never directly say genre. If you want to try that, fine, but people can sense bullsh*t so rather than making things up, look at the deeper themes of your work. Is it a commentary on society? Does it have a documented history of influences from respected authors? What are you doing that is innovative? What does your work contribute to the Canadian literary landscape? Does it address under-represented voices? The answer may be “no” to some or all of these questions, but use them as a springboard to frame your project according to the terms and values that literary audiences might be familiar with. 3. Sound authoritative. When possible, avoid the passive voice in grant writing. Avoid waffling about timelines, structure, etc. Make concrete statements regarding your plan to complete the project. 4. Double-check. And triple-check. Grant applications are finicky. 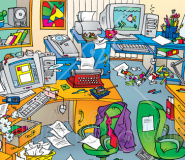 They have lots of associated forms, and very specific rules and regulations. Check to make sure you are eligible. Check the due date of the application. Is it postmarked at that date or is it letter in hand? Read the guidelines over. Read them over again. Have somebody else go over your application, and have somebody else read your project description. If your project description sounds too esoteric or too specialized then a judge outside your field may have difficulties. 5. Remember, grants are a work of creative fiction too. 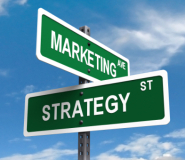 In most cases, you are not bound to follow the project you have outlined to the letter. It is understood that in the creative process (as well as the academic one), sometimes a project will veer in a new direction. Again, this is not licence to simply make up a project you never intend to complete (and, indeed, some grants are for works in progress rather than for new undertakings) but it does give you freedom to imagine where your project might go without binding you to it definitively. The following example was written as a two-page project description for the Canada Council grant, but a tailored version was also used for the OAC Writers’ Reserve, the OAC Work in Progress, and the Toronto Arts Council. It met with success and so it might not be a bad place to start. I’ll note that there actually is very little BS here, and the collection actually followed the plan reasonably well, so if you like the description, you can go to http://hairsidefleshside.com to see how it turned out. 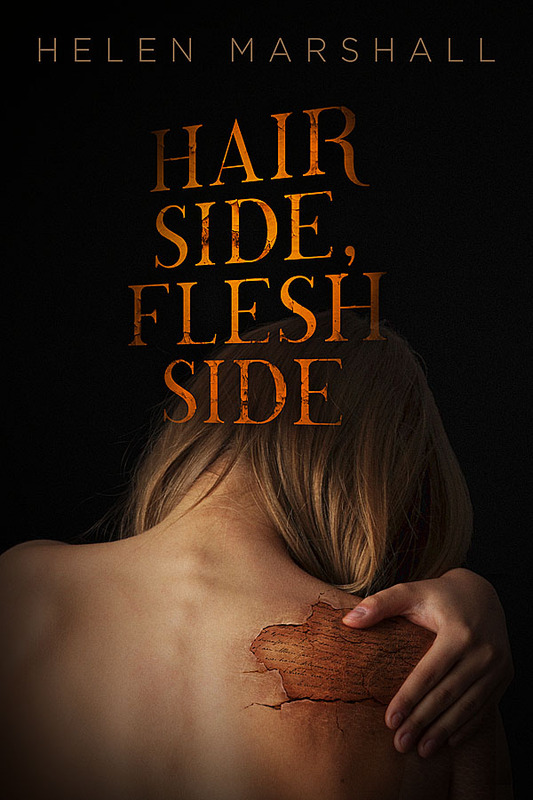 Hair Side, Flesh Side is a collection of short stories that broadly fits into the genre of slipstream, a term coined by Bruce Sterling to describe “a kind of writing which simply makes you feel very strange; the way that living in the twentieth century makes you feel, if you are a person of a certain sensibility.” Commissioned by ChiZine Publications for released in 2013, this collection offers experimental stories that develop their narrative around concretized metaphors for knowledge, storytelling and history. 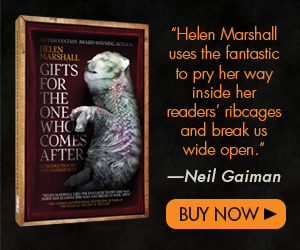 These stories place the “fantastic,” the “horrific” and the “real” alongside one another in the style of Robert Shearman and Peter S. Beagle. The completed collection will be approximately 65,000 words with nine thematically-related short stories. At this stage, five of the short stories have been written, and approximately 25,000 words remain to be completed. In this way Christ, when his hands and feet were nailed to the cross, offered his body like a charter to be written on. The nails in his hands were used as a quill, and his precious blood as ink. And thus, with this charter he restored to us our heritage that we had lost. The study of medieval manuscripts concretized this metaphor for me, forcing me to encounter the book as an object made of bits of flesh where writing and death are intrinsically interlinked. Whereas eBooks seem increasingly to be associated with non-affective modes of reading and the alienation of the physical, Hair Side, Flesh Side draws upon and reinterprets metaphor of the body as a book in order to engage with the materiality of reading and writing, and, consequently, the materiality of history, knowledge and literature. The collection introduces the metaphor of the book as flesh with a short story entitled “Skins.” “Skins” follows a young academic researching a Greek philosophical manuscript supposedly from the Library of Alexandria. In the course of her investigation, she discovers that all the work of the early pillars of Western thought—Plato, Aristotle, Pythagoras—were written not on animal skin or papyrus as usually claimed but on human flesh. When she confronts the mass genocide underwriting her own intellectual inheritance, she comes to question the value of knowledge at the expense of human life. “Sanditon”, one of the pillar-stories of the collection and the sample included, picks up on the theme of what it means to write on skin when an editor, caught in a love affair with a famous author, discovers a lost manuscript of Jane Austen written on the inside of her body. Other stories relate to this central theme more broadly by investigating the relationship between death and history. “Bones,” a companion piece to “Skins” is a ghost story set in the catacombs of Paris where six million bodies are on display, mausoleum-style. What begins as a tourist vacation for Rebecca and John becomes something darker when John finds the body of his missing wife buried amongst the bones. “The dead are nothing,” Rebecca screams at John, “they aren’t anything at all, just a little whiff of air, a thing that was there and then gone. She was nothing. She was a stone. She was a memory. She was band of white flesh wrapped around your finger.” The “The Art of Dying”, inspired by the medieval ars moriendi treatises which offered advice for those seeking to prepare themselves for death, plays with notions of what it means to take responsibility for one’s life. When Mandy Johnson first glimpses a premonition of her body crushed on the tracks of a Toronto subway, fearful of her own mortality, she abdicates responsibility of her life to an entity—ghost, god, angel—named Clarissa. Clarissa has died many times, in many different bodies. Unaware of how or why, she is summoned by a body’s preternatural knowledge of its own impending death in order to ease the way for her frightened host. But this time is different. A chance encounter leads to the first kindling of love. As the day of Mandy’s death draws closer, Clarissa finds herself neglecting the duty she has performed in every other manifestation—drawn to a stranger named Paul yet trapped in a body she is preparing for death. A final component of the collection will explore what it means to create literature or to be implicated in its creation. “The Book of Judgement” offers a slant-wise follow-up to “Sanditon” in which Jane Austen encounters Azrael, the Angel of Death, in a dream only to discover that he is a fan of her work and has encouraged St. Peter to rewrite the book of her life in the style of Pride and Prejudice. “Eternal Things” follows a graduate student studying abroad at the University of Oxford when she encounters the ghost of Geoffrey Chaucer after a one-night stand with her rival. Lastly, “Dead White Men” introduces Shara and David, two characters who bring their lovers to the graves of famous authors so that they might be possessed by the likes of Emily Dickenson, Dylan Thomas and Lord Byron. When Shara and David meet, they must decide whether to pursue their own relationship or to succumb to their desire for literary genius and oblivion. Bruce Sterling, SF Eye #5 (July, 1989). Siegfried Wenzel, trans. Fasciculus morum : a fourteenth-century preacher’s handbook (University Park : Pennsylvania State University Press, 1989), p. 213.